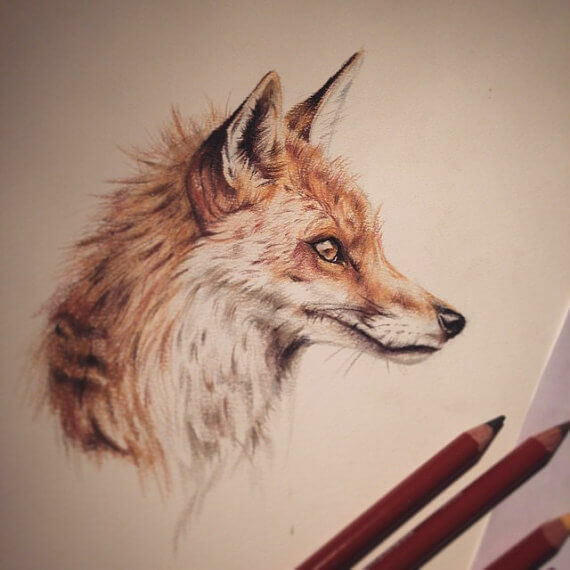 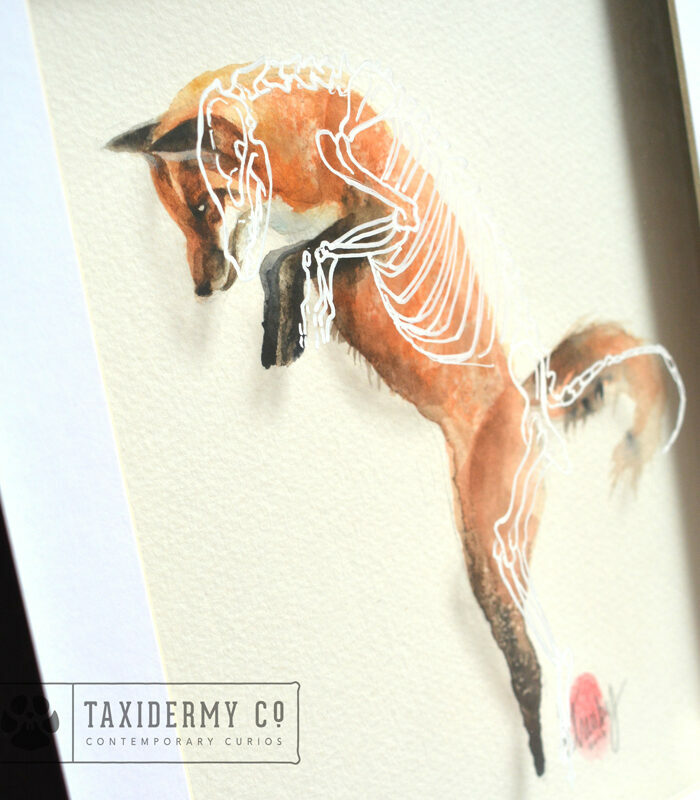 Best viewed on video to get an idea of the 3D element, click button below! 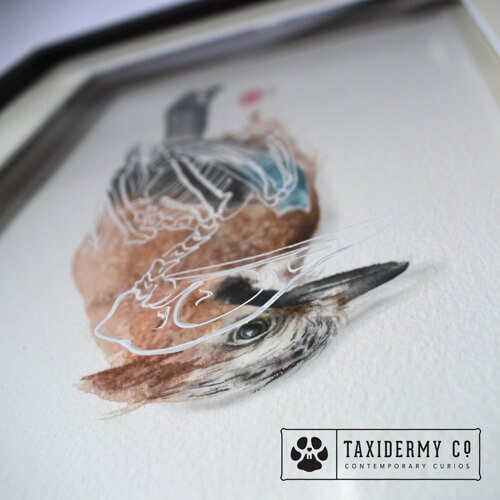 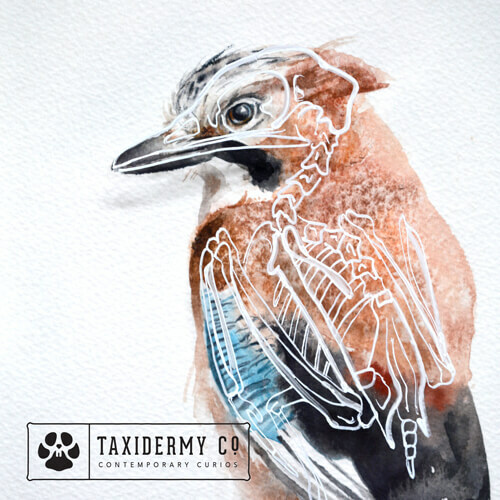 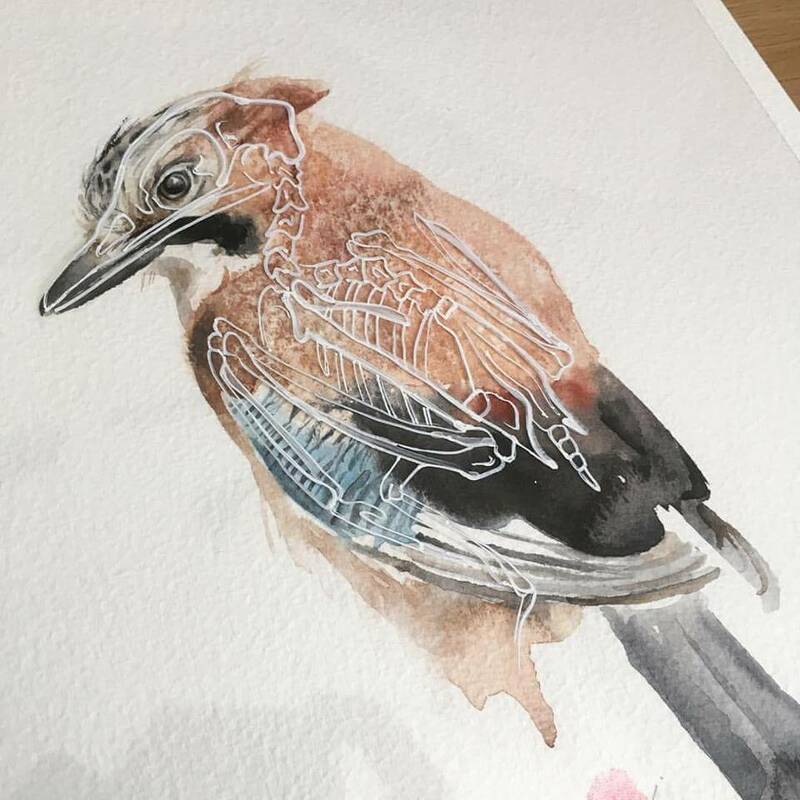 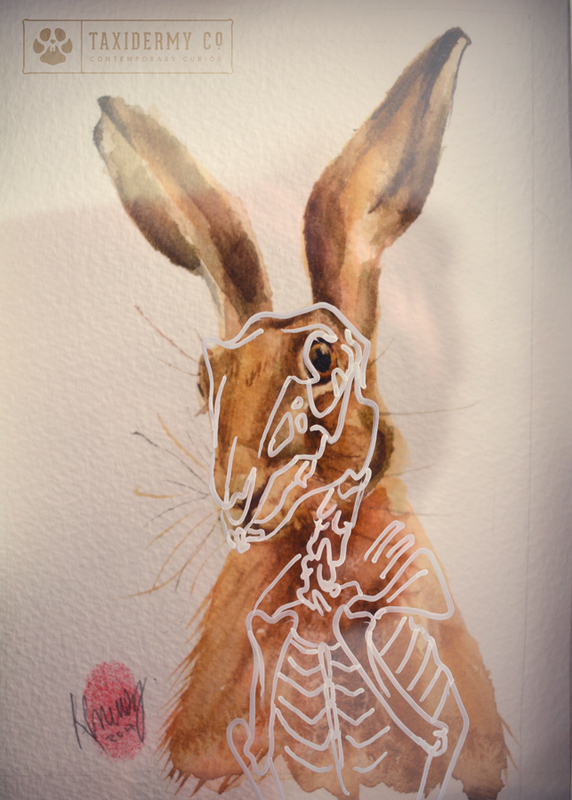 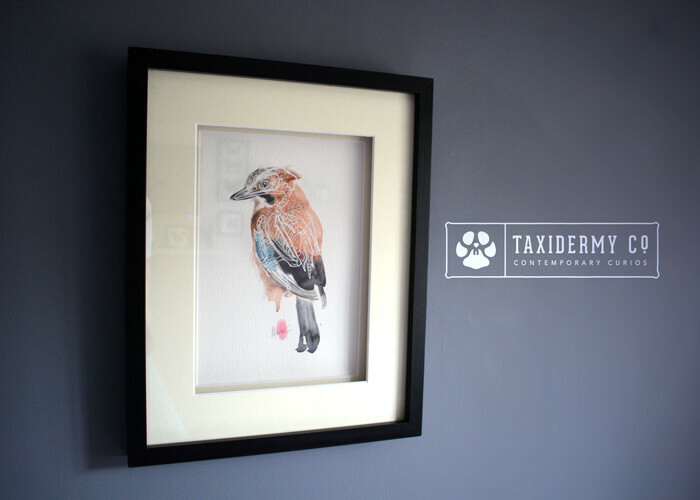 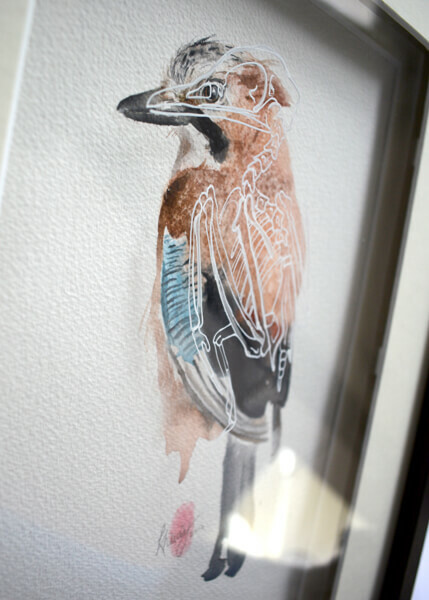 100% original, one-of-a-kind hand painted artwork by Krysten Newby, featuring the skeletal anatomy of a Eurasian Jay (Garrulus glandarius). 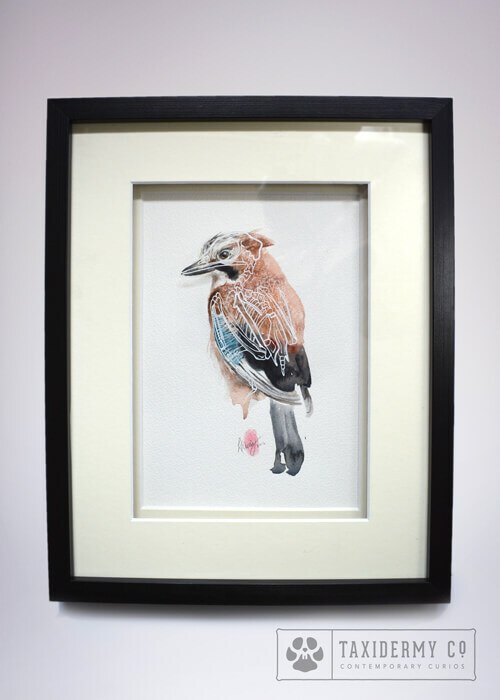 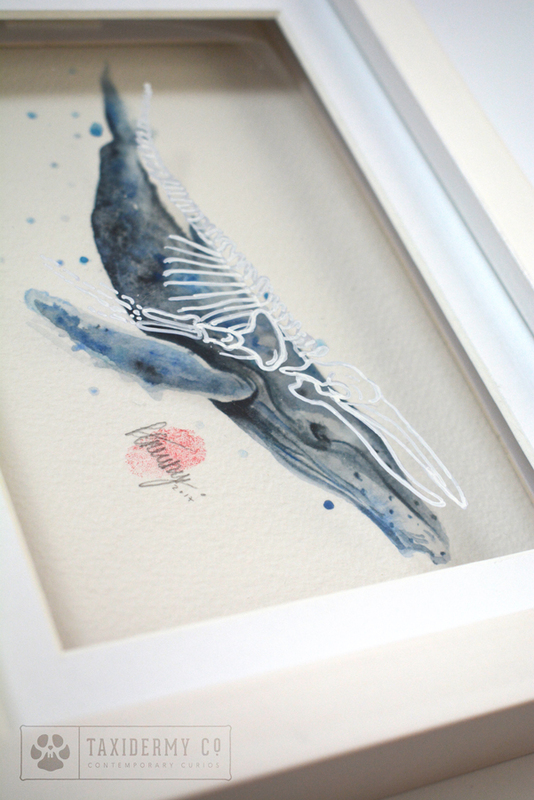 Framed watercolour and layered mixed media, signed by artist.